Ding! Ding! It’s dinnertime with the world’s most environmentally friendly dish set! 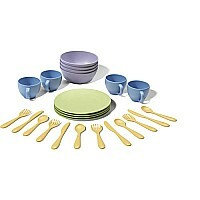 This set includes everything you need to serve a pretend meal for four, and do something great for the planet. 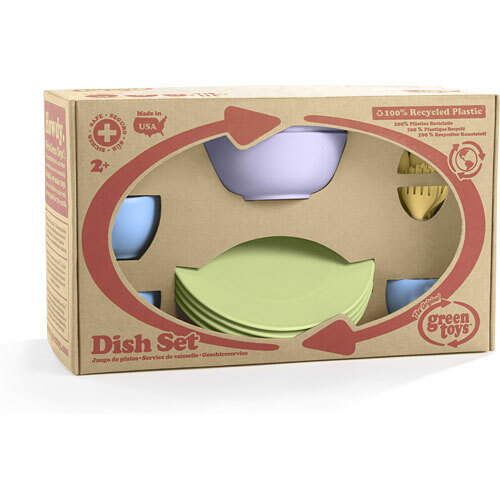 The Green Toys Dish Set is made in the U.S.A from 100 recycled plastic milk containers that save energy and reduce greenhouse gas emissions. 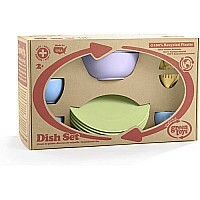 This set gives new meaning to the term “clean plate” and is full of Good Green Fun. Meets FDA food contact standards and is dishwasher safe.